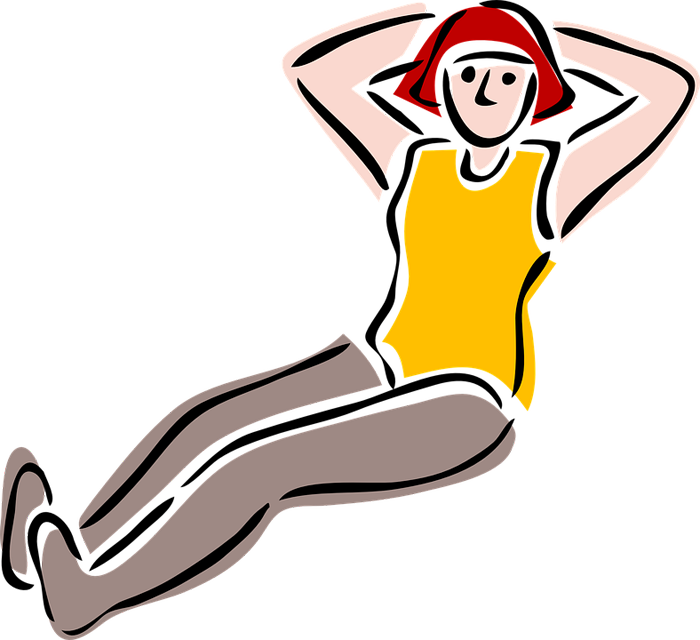 The partial curl-up abdominal fitness test requires the subjects to perform as many sit ups as possible following a set rate. The following information describes the procedures as used in the Connecticut Physical Fitness Test. There is also a similar Curl Up test as part of the President's Challenge Fitness Awards. See the general guidelines for Abdominal Endurance Tests. purpose: The curl-up test measures abdominal strength and endurance, which is important in back support and core stability. equipment required: a flat, clean, cushioned surface, recording sheets, pen, and a metronome (or audio tape, drums). We have an online sit-up metronome that you can use. A sit up beep test mp3 with the 1-in-3 sec cadence is also available for purchase. The sit-up track on the PACER cd is also at the same cadence. pre-test: Explain the test procedures to the subject. Perform screening of health risks and obtain informed consent. Prepare forms and record basic information such as age, height, body weight, gender, test conditions. See more details of pre-test procedures. procedure: The starting position is lying on the back with the knees flexed and feet 12 inches from the buttocks. The feet cannot be held or rest against an object. The arms are extended and are rested on the thighs. The head is in a neutral position. The subject curls up with a slow controlled movement, until the student's shoulders come off the mat two inches, then back down again. One complete curl-up is completed every three seconds (1.5 seconds up and 1.5 seconds down, with no hesitation), and are continued until exhaustion (e.g. the subject cannot maintain the rhythm). There is no pause in the up or down position, the curl-ups should be continuous with the abdominal muscles engaged throughout. scoring: Record the total number of curl ups. The completion of one complete curl up counts as one. Only correctly performed curl ups should be counted - the sit up is not counted if the shoulders are not raised up two inches; the head touches the mat; the heels come off the mat and or the student is off cadence. There are published norm tables for Connecticut students based on age. advantages: this test is simple and quick to perform requiring minimal equipment, and large groups may be tested at once. disadvantages: a metronome is not always available and creating a suitable audio tape is not easily done. It is difficult to control the amount of the curl up. comments: It is important that the correct technique is used as described for accurate comparison to the norms. If using a variation of the test, the actual technique and procedure should be recorded with the results, and appropriate norm tables consulted. See the similar Curl Up test as part of the FitnessGram Program, and the NHL curl up beep test. simple sit up test that you can do at home.